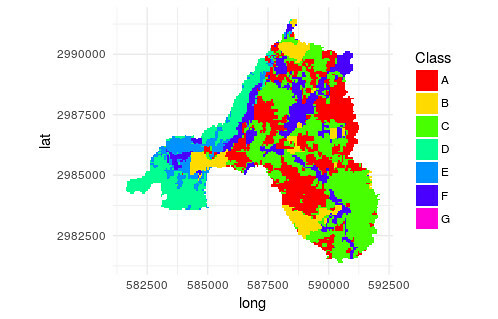 I have a landuse shapefile (contains data and script) that plots differently in Base and ggplot, the reason for which remains a myster after countless hours of playing with it. as you can see, especially in the lower left and lower right classes do differ completely. What is the reason for this? I do not need the "id" column that I create for base graphics, however for ggplot I need to do the "self-join" on the "id" column to keep the attributes. Also, why does one id get lost somewhere? 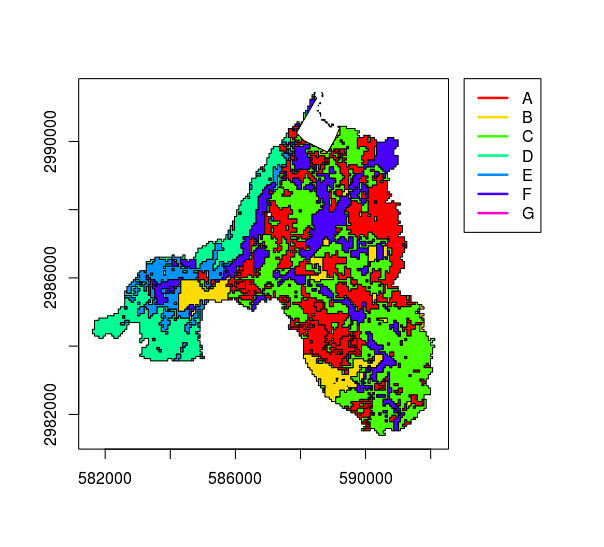 How does the @data of the spdf know to which polygons a row in @data refer? What is the link for that? Is the underlying data corrupted in any way or does the mistake solely stem from wrong plotting? However, note that in the larger patches on the lower right and lower left especially there should be small other polygons drawn, which seem to be swallowed somehow. The problem was that smaller polygons were swallowed by bigger polygons that contained them. The solution is to use the geom_polypath geometry from the ggpolypath package. 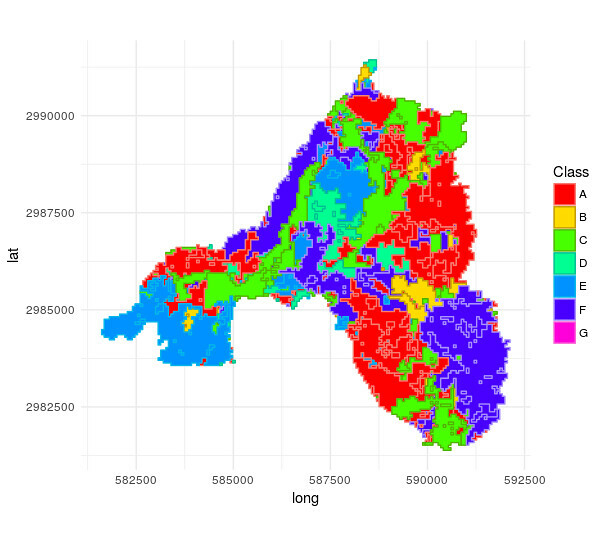 Legend and coloring of markers with plotGoogleMaps in R? raster::plot() plotting raster too small- is there an alternative on ggplot? Extracting non-spatial data from imported KML file using R?